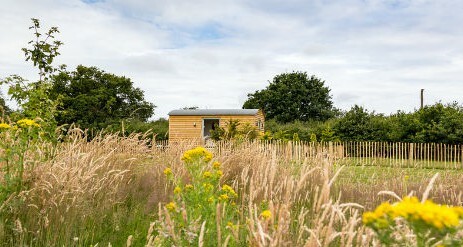 Go glamping on the Isle of Wight and get in touch with nature with Rosemary the shepherds hut, a unique retreat at Buttercup Barn Retreat set in the islands countryside. 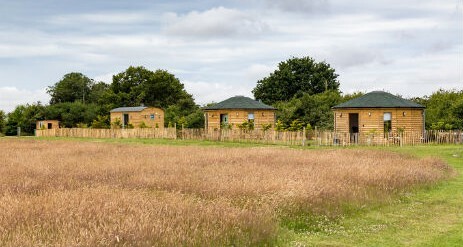 A glamping escape for two, Rosemary is a unique home from home for a retreat to the Isle of Wight. 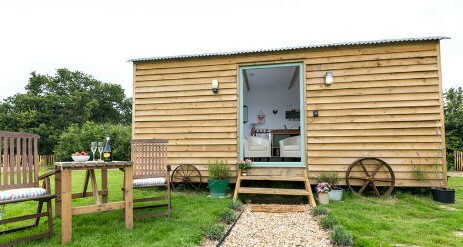 Located at Wotton Bridge, near coastal resort of Ryde, the hut has a compact yet bright design with views of the grounds. 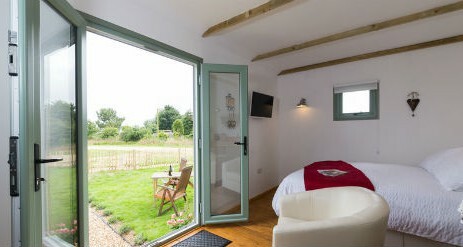 The Buttercup Barn Retreat Resort has been created to offer that rural adventure, and it’s a tranquil setting for that holiday that’ll make you feel a world away from the hustle and bustle of home. 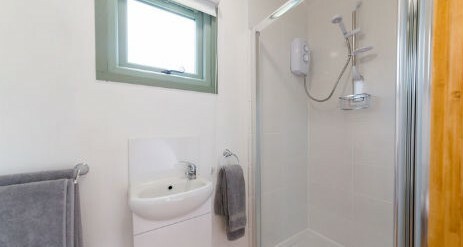 With the friendly resort of Ryde within easy distance, you’ll have plenty of days out on your doorstep, and we can’t think of a better setting for a walking break. Outside, you’ll be able to enjoy al fresco dining in your own enclosed space with table and chairs and the all important bbq. 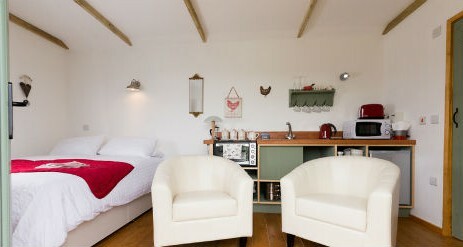 Enjoy lazy days in the peace and quiet in your own little corner of the countryside. If you wouldn’t feel right without your dog in tow too, there is good news as he’ll be as welcome too!